Considering this information, parents should be aware of the risks and warning signs for teenage substance abuse as it relates to sports participation, as well as where to get help if they believe their child has a problem with substance abuse. That said, it is important to note that each teenager is different, and that this information does not mean that sports participation is a negative influence for all teenagers in all situations. Rather, it simply means that parents should be aware of risk factors and warning signs that a teenager could abuse substances while participating in athletic programs. Trying to keep good grades. Coping with the social pressure to fit in with peers and be popular. Experiencing anxiety, depression, and other emotional issues. Feeling self-conscious about their appearance. Withdrawing from people and regular activities. Sleeping too much, or having trouble sleeping. Seeming exhausted and without energy. Parents play a role in helping their children cope with stress and learn to work through it without turning to drugs or alcohol. Spend time with your teen and get involved with their interests. Listen openly to your teen, without offering advice or casting judgement. Be a role model by managing your own stress through healthy habits. Teach your child about productive work habits and time-management skills. Have a family ritual, like a weekly game night or special dinner. Don’t set unreasonably high or unattainable standards. Opioid abuse is a potential concern for athletes of all ages, as these drugs are frequently prescribed (or taken illicitly) to manage pain from injuries sustained in competitive sports. They are also more likely to misuse an opioid prescription (taking the drug in greater quantity or more frequent doses than prescribed) or without a prescription at all.4 Opioids may be provided by coaches or trainers without consulting the athlete’s personal physician, or teens may obtain the drugs themselves from teammates or other peers. Given opioids’ high potential for abuse and addiction, plus the risk of overdose, their use among teen athletes is cause for grave concern. Using higher or more frequent doses of opioids than prescribed. Claiming medications are lost or stolen and a new prescription is needed. Taking opioids from other sources than the original prescription, such as from a friend. Complaining about increasing pain, even as injury is healing. Loss of interest in normal activities and/or relationships. Openly discuss the benefits and dangers of opioids with your child and their doctor. Discuss limiting the use of opioids to no longer than absolutely necessary for pain with your child’s doctor. Monitor how often your child takes opioids and dispose of unused medication. Work with your child’s doctor to explore physical therapy and other treatments that do not require opioids. Encourage your child to rest and heal, even if it means sitting out a few games or even a season. The term “steroids” is often used to encompass all forms of PEDs, but there are actually several different types that affect the body in different ways. 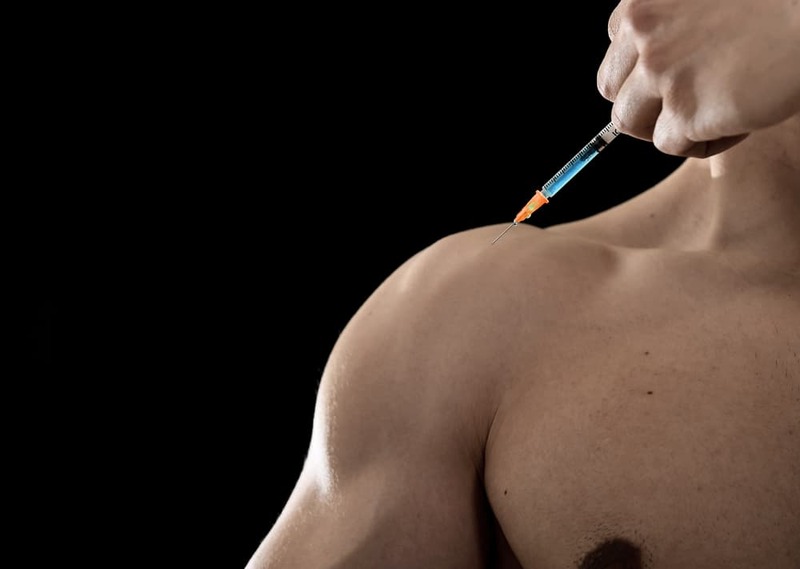 Some, like anabolic steroids, have been the subject of extensive research due to their widespread abuse and the potentially-harmful effects of such misuse.7 Others, like beta antagonists, have very little research supporting their effectiveness or examining their long-term effects.3 Some even include over-the-counter dietary supplements like creatine as a class of PED. The use of anabolic steroids by professional athletes across multiple sports has been extensively covered in the media for decades. Despite the negative consequences imposed on those who get caught, impressionable teenagers may look to these star athletes and internalize the belief that taking steroids is the key to athletic superstardom. Parents can use media coverage of doping athletes as a teaching tool to discuss the professional repercussions of getting caught. Although some athletes may benefit in the short term from PED use, well-known cases like those of Lance Armstrong, Barry Bonds, and Marion Jones demonstrate that steroid use has serious consequences. Lost endorsements, tarnished legacies, banishment from the sport, and even criminal charges have all resulted for athletes who were discovered to have used banned substances. Reminding your children of the negative legal and athletic-career consequences of PEDs may be an effective way to discourage their use. Severe mood swings (commonly called “roid rage”). If you suspect your child is using or considering using steroids, the best approach is to talk to them directly. Consult with their teachers, coaches, and/or school administration to help your child find the help and support they need to get back on track. If you suspect that your teenager is using drugs of any kind, reach out for help. It is never too soon to intervene. If you think that your child has a substance abuse problem, seek help now; don’t wait. The earlier your child gets help, the more likely they’ll be able to recover and achieve long-term sobriety. Veliz, P., Schulenberg, J., Patrick, M., et. al. (2017). Competitive Sports Participation in High School and Subsequent Substance Use in Young Adulthood: Assessing Differences Based on Level of Contact. International Review for the Sociology of Sport, 52(2), 240­–259. Veliz, P., Boyd, C., & McCabe, S. (2015). Competitive Sport Involvement and Substance Use Among Adolescents: A Nationwide Study. Substance Use & Misuse, 50(2), 156–165. Reardon, C. & Creado, S. (2014). Drug abuse in Athletes. Substance Abuse and Rehabilitation, 5, 95. Veliz, P., Epstein-Ngo, Q., & Meier, E., et. al. (2014). Painfully Obvious: A Longitudinal Examination of Medical Use and Misuse of Opioid Medication Among Adolescent Sports Participants. Journal of Adolescent Health, 54(3), 333–340. U.S. National Library of Medicine. (2016). Help Your Teen Cope with Stress. National Institute on Drug Abuse. (2008). Recognizing Opioid Abuse. Barbalho, M., Barreiros, F. (2015). The Use and Effect of Anabolic Androgenic Steroids in Sports. International Journal of Sports Science, 5(5), 171–179. National Institute on Drug Abuse. (2016). Anabolic Steroids.